Flow that airflow smoothly from your intake into the turbo. The VWR High-Flow Turbo Inlet Hose is for all MQB 2.0 and 1.8 TSI cars. 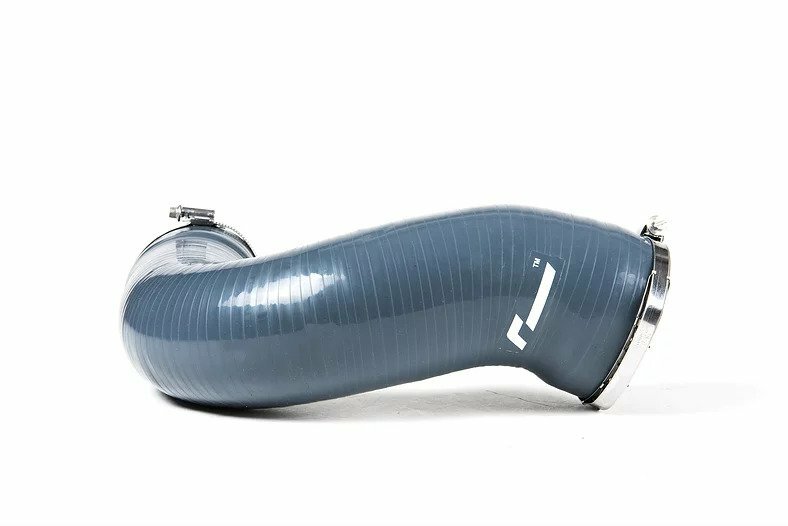 The reinforced Inlet Hose has been engineered to increase air flow through to the turbocharger as the perfect compliment our VWR R600 Cold Air Intake or even the standard airbox. A simple fitment, it replaces the entire restrictive rear factory plastic ‘bellows’ pipe between the airbox and the turbocharger inlet. The large diameter smooth-flowing silicon hose, crucially with enough compliance to allow for adequate engine movement without causing damage to the intake. Back-to-back comparisons with the factory pipe on our flow bench reveals an impressive improvement in airflow, and makes this hose a great compliment to the R600 intake. 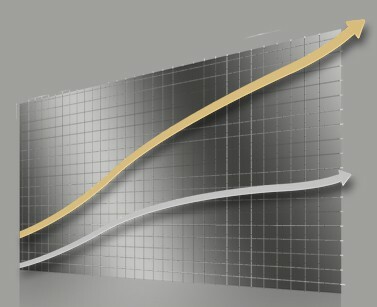 Put simply, you’ll be wasting a chunk of the hard-gotten gains from your high-flow intake system if you leave this pipe standard. 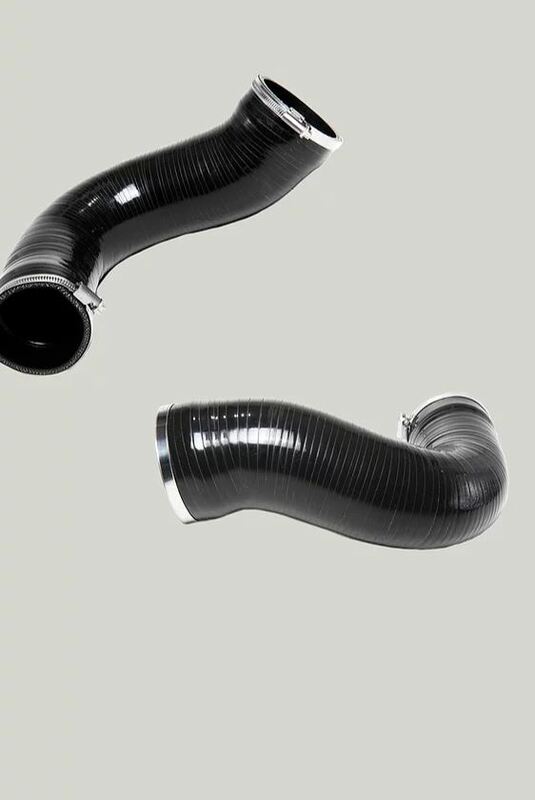 The Turbo Inlet Hose is compatible with all MQB EA888.3 1.8T and 2.0T cars. 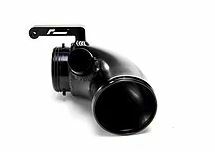 Works with the VWR R600 intake, the factory airbox, or any other aftermarket intake. 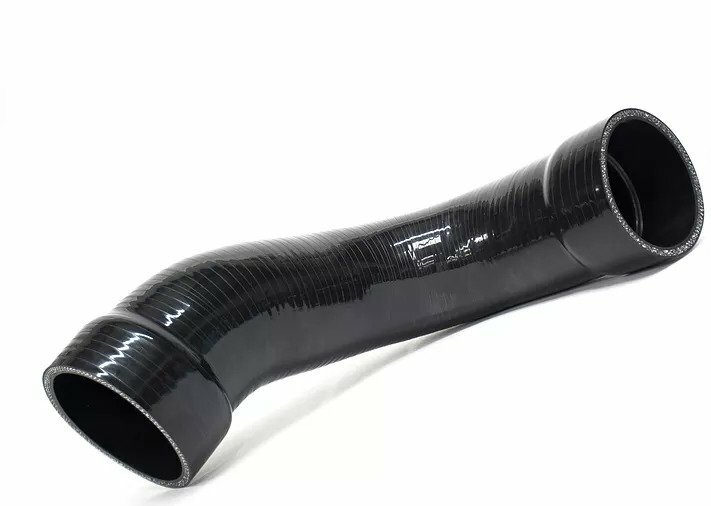 By taking away the standard plastic bellows pipe’s restrictive and turbulent airflow path between the intake and the turbocharger, the High-Flow Turbo Inlet Hose gives a worthwhile power gain. Constructed from reinforced high quality silicone, our hose offers great rigidity to prevent deformation under load or heat. 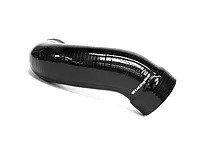 The engine moves considerably under load and so our turbo inlet hose allows just the right amount of flex. Maximum diameter ultra smooth, high-gloss silicone with smooth transitions promotes airflow. Reinforced silicone elements embedded in critical areas to avoid compression under load. 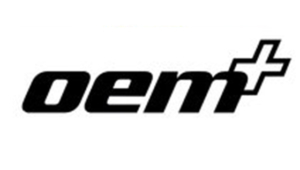 Our OEM Performance Software is simply the most effective modification you can make to the 2.0 and 1.8 TSI engines, especially when used alongside our performance hardware. Simply the most sophisticated cold air intake on the market – for all MQB platform cars using the 1.8/2.0 TSI engine.